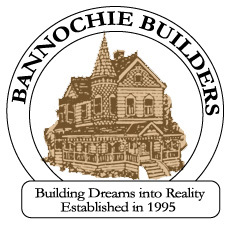 Home Remodeler in Fridley MN | Bannochie Builders Inc.
At Bannochie Builders, we effectively and responsibly provide you with a detailed analysis and quality service to renovate your home. We can take care of all your needs from a small leak to a complete renovation. Our priority is customer satisfaction. Gary and his team of professionals at Bannochie Builders has been remodeling in the Twin Cities area since 1995. Our family owned business has provided services and gained the trust of customers in Fridley, Minnetonka, St Louis Park, Osseo, Hamel, Corcoran, Crystal, Deephaven, Eden Prairie, Minneapolis, and many other suburbs of the Twin Cities Area. We do more than just complete projects, we build dreams into reality. We bring value to every job, whether it is remodeling kitchens, garage renovations or adding living space to your home. We are trusted by our customers because of our attentiveness, efficiency, and affordable prices. We provide services to all customers will different budgets, so you can create your dream room without breaking the bank. For a FREE consultation, contact us today! Gary and his team of specialists are here to answer any of your questions.